Staring menacingly at the camera these exotic looking creatures look like monsters straight out of a horror film. 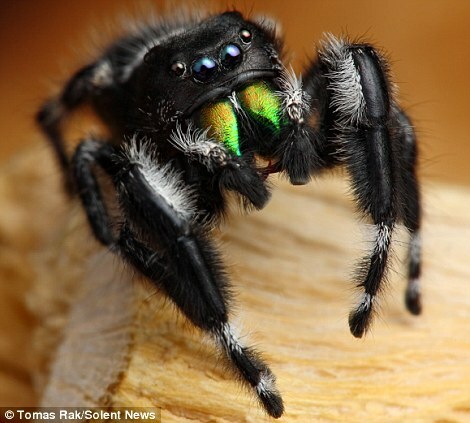 But, despite their appearance, these creatures are actually jumping spiders, which measure a tiny six millimetres – and they live in this country. 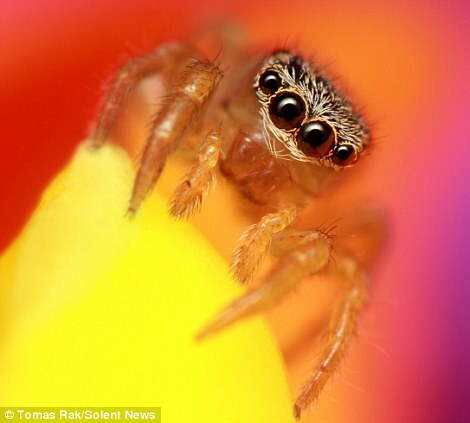 The harmless arachnids, which are capable of jumping up to six times their own height, can be found in grassy meadows and on the walls of houses on sunny days. Photographer Tomas Rak scours British towns and countryside looking for them to capture on film with macro photography. 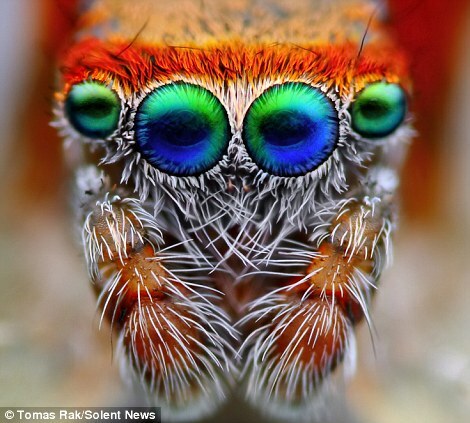 The result is an extraordinary picture, which reveals tiny flecks of colour in each spider’s eye and every hair on its body. Mr Rak, 28, said he’d had a very positive response to his incredible photography. 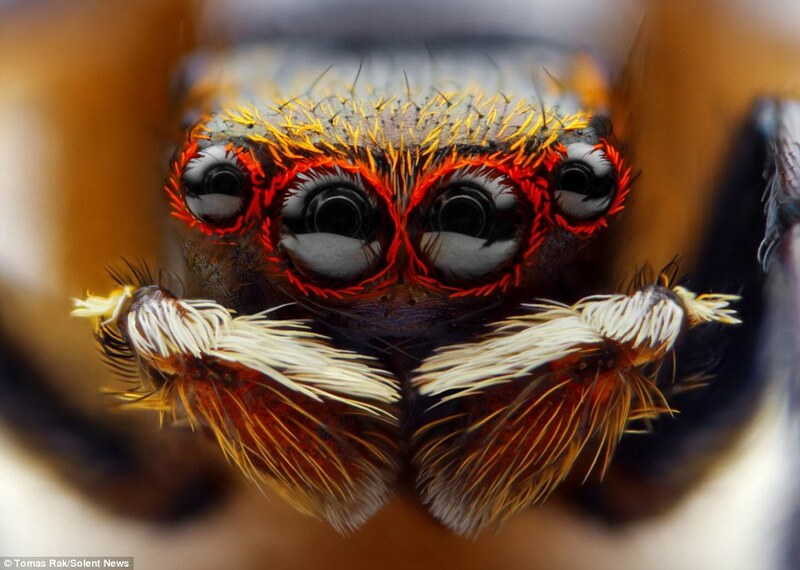 He added: ‘People are usually amazed by these jumping spiders, they ask questions like how is it possible to get so close and what I do with spiders to get a shot. After finding the tiny creatures, Mr Rak takes them to his home in London to be photographed. 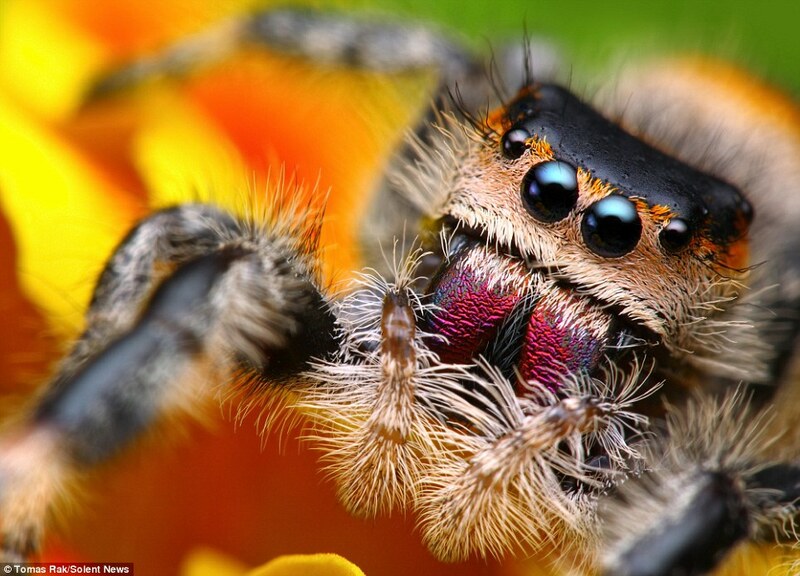 He uses a digital camera and macro lens, which allows him to get an extreme close up. He said: ‘I usually find them when I am looking carefully on the walls around me during a sunny day when they try to catch a prey. Some photographers put the spiders into a fridge or freezer because it subdues them and makes it easier to take their picture. But Mr Rak doesn’t do this, so getting the perfect shot can take time and patience. 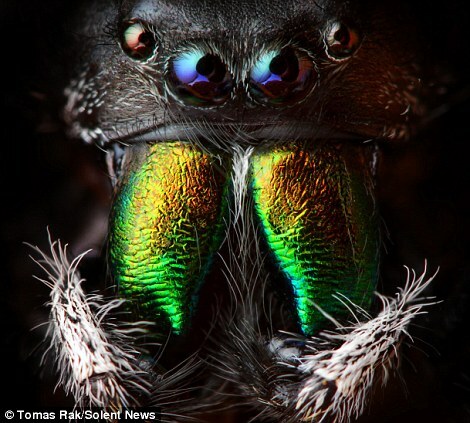 One of his favourite spiders, a blue-eyed Saitis Barbipes, took an agonising three weeks to get. 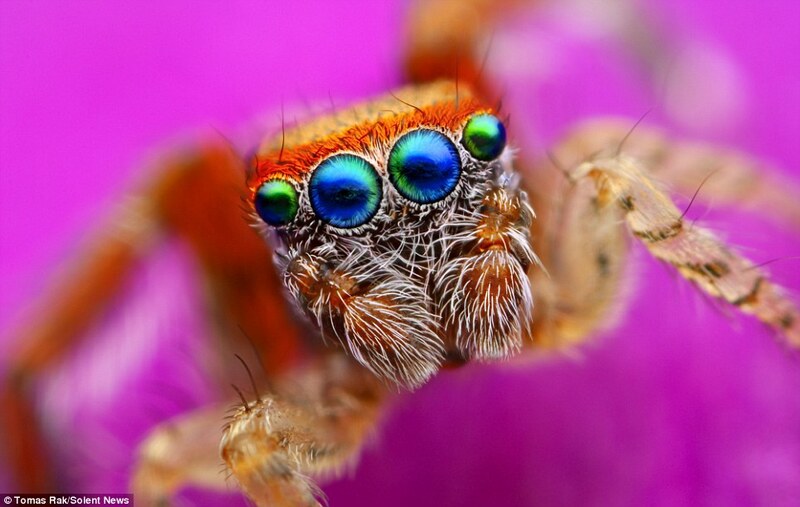 He said: ‘This spider is probably the only jumping spider which has so blue eyes, he is very photogenic. 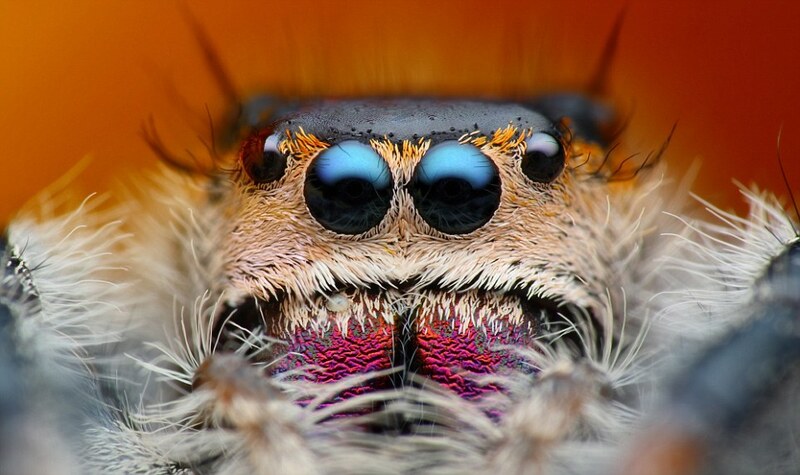 ‘I managed to take a portrait shot of him and it is probably my best photo of jumping spider – it was very hard to get because the spider was moving around. After getting his shot Mr Rak, releases his subjects back into the wild where he found them.